The Barnet board has given me a £20,000 transfer budget, which kind of makes it hard to attract the good players and I'm quite close to my weekly wage budget too. Thankfully, lower league management in Football Manager 2010 does allow me to loan players from higher divisions while spending absolutely nothing on their wages. Sure, some clubs like Aston Villa or Cardiff will want a 50% wage contribution for certain players, but that's only if absolutely no other players want to join the Bees. Thankfully, I am not in that case and have been able to get some players on loan. 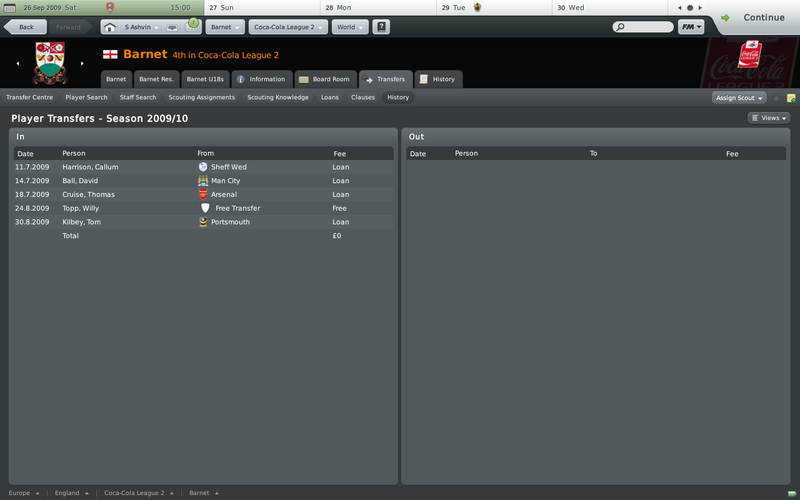 My ojectives for the 2009/2010 season are consolidation. In Barnet's case, the difference in the transfer budget for each objective is sort of negligible, and I don't intend to buy a lot of players anyway. As seen above, I have been able to lure David Ball from Manchester City who will be one of my main strikers and Arsenal's Thomas Cruise as I am really short on left full-backs. Sheffield's Wednesday Callum Harrison should allow me to rotate my defensive midfielders, and given the lad can also play in central midfield, my Barnet squad should be able to afford a couple of injuries, which in typical FM2010 fashion, will no doubt plague my team. Concerning tactics, I am playing a 4-1-3-2, or a 4-1-1-2-1 if Tom Kilbee, from Portsmouth, is playing, as I usually deploy him as an advanced playmaker. My tactics focus on a quick tempo with rapid counters and an overall attacking mentality as I am of the "score one more than your opponent" belief. 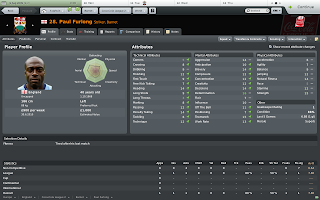 My players seem to enjoy my training schedules, especially Paul Furlong, who's being employed as a target man and who hasn't been half-bad so far as a backup (mainly if Ball and Topps get injured or are too tired). I also tried to get another parent club, but the board wouldn't let me. I'm not sure if it's actually possible for a single club to have two parent clubs though. Barnet's current parent club is Arsenal and that's excellent, considering the talent that goes through the Arsenal under-18 squad and their reserves. I cheekily tried to loan Wilshere and Ramsey, but that did not work out so well! My friendlies were quite good, but since they're friendlies, I'm not paying too much attention to the final score. In this case, I didn't bother arranging my own friendlies as I usually do in the top divisions, but instead played the ones selected by my assistant manager. Amazingly enough, I could not even beat my reserve squad. A good performance, but that one goal conceded in the dying minutes of the game probably means my defence is always going to leak goals. Another loss, but a great goal for Jake Hyde, which will do wonders for the lad's morale. My fans were pleased that I conceded only two against Arsenal during pre-season. That alone indicates how much my Barnet squad is rated. Yet another defeat, but I let my backup players have a run in this match since the first-teamers were fit. Alhtough my last two friendlies ended in defeat, most of my players now have at least a "Good" morale, which is probably going to make a difference in the first season fixtures. They also seem to have adjusted well to my tactics so far. 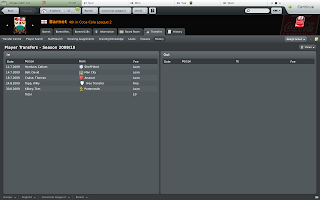 Find out how my Barnet team performed in the second part: Football Manager 2010: The Barnet overload. Need to rent a car in Seychelles?